Home / Blog / Serious about recycling? Label your containers! Introducing Sam Taylor, who is our new Recycling Coordinator at St Nicks managing our domestic and business waste collection service in York. 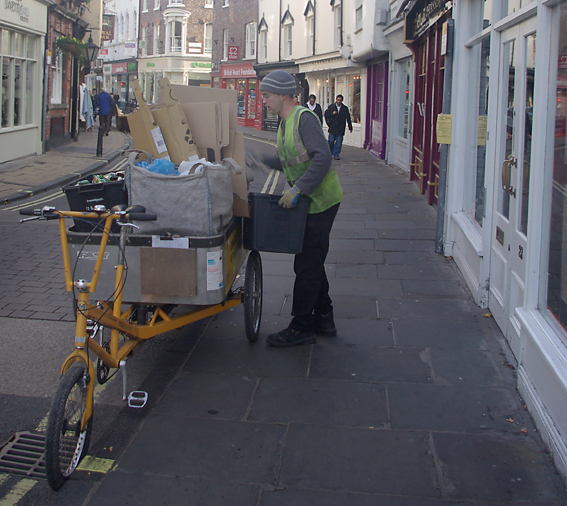 Kerbside collection makes it easy and convenient to recycle. 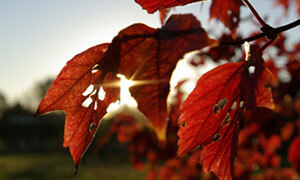 Plus, today’s new technologies and growing markets are expanding the number of materials we can recycle at the kerb. At St Nicks we currently have a few specialist collections running thanks to TerraCycle, including home cleaning and air fresheners, biscuit wrappers, coffee packaging and lids, printer cartridges and pens, all of which we get charity points for. If we do not collect recycling from your home or business, you can bring those items to the Environment Centre. 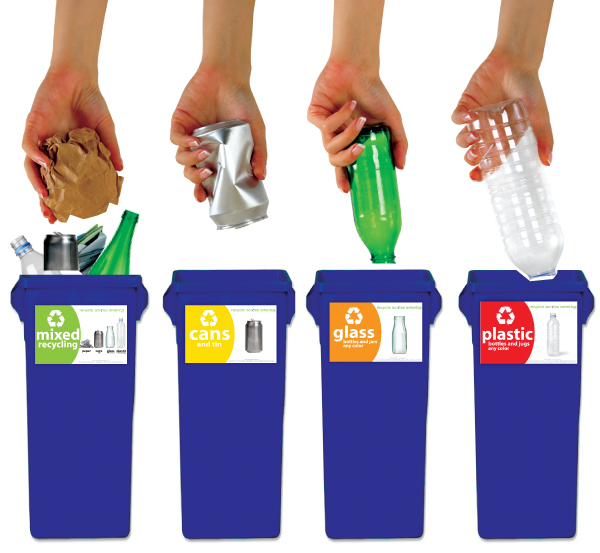 You may find you can recycle more, with less waste going to landfill by labelling your containers. Materials destined for recycling can end up being sent to landfill if they are polluted with incorrect materials. Recycling Officers at St Nicks prevent this by sorting materials by hand at the kerbside, but not everyone can benefit from this unique service. One of our recycling officers collecting materials from Goodramgate, using a load-bearing tricycle. Recycling at home doesn’t have to be complex, and using labels will help stop recyclables ending up in landfill by stopping incorrect materials being put in the wrong bins. Recycling, compost and waste labels on your containers tell your family members or guests that you are serious about recycling, and save you having to re-sort it and ensure materials end up where they belong. 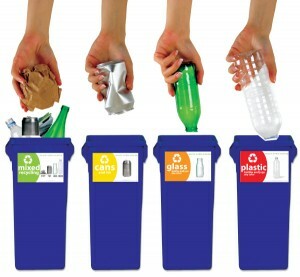 For some people, seeing how effortless it can be to recycle could mean they go home and set up their own bins! Avoid confusion by using simple clear labels, making sure waste destined for landfill is easily distinguished from the rest. Be extra clear in your descriptions about details such as which types of plastic your local recycling service can collect and whether you need to rip plastic windows out of your cardboard. And always, always double check which materials your local area can and cannot recycle. The stuff you recycle is put to good use, being manufactured into new products, including bottles, cans, jars, furniture, clothing, floor tiles, paper products and much more. Recycling helps to save energy and reduce the use of the planet’s limited raw materials, so it’s a big deal!